I feel like I’ve referenced this pen in one way or another enough at this point that it ought to have its own review of sorts. 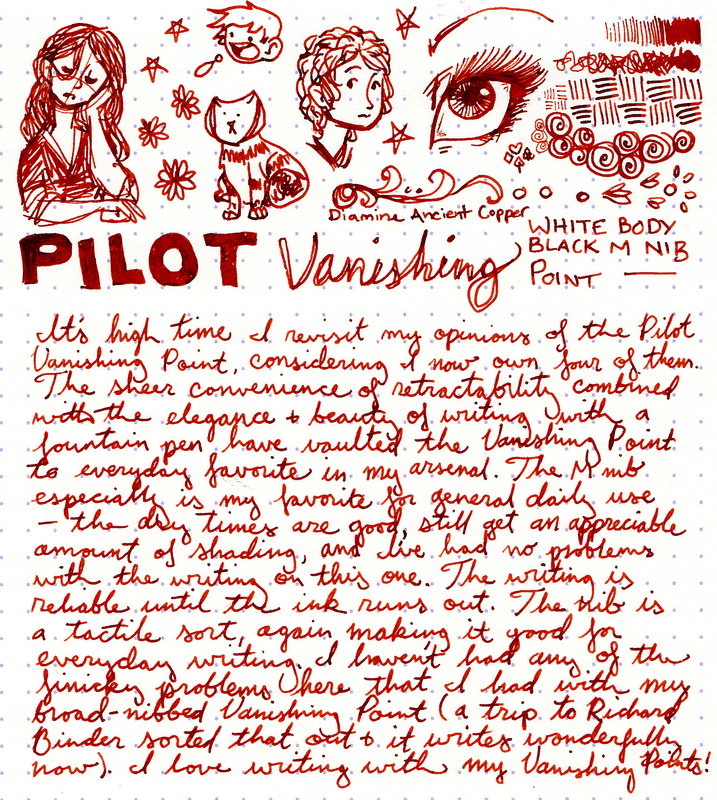 I bought my stealth matte black Pilot Vanishing Point with a medium nib (an excellent decision, as I love the M nib for general use), but I’m not going to re-review the M nib just because it’s a different color (refer to this Vanishing Point review with the black plated nib; they behave the same). This will focus instead on the infuriating mercurial beauty of the matte-black Vanishing Point body. The box it comes in combines a strange attractiveness with maximum space inefficiency—too cool to throw away, and too bulky to easily store. It would be great to display on the mantle…if I had a mantle. The matte black rides that ineffable line between class and badass. 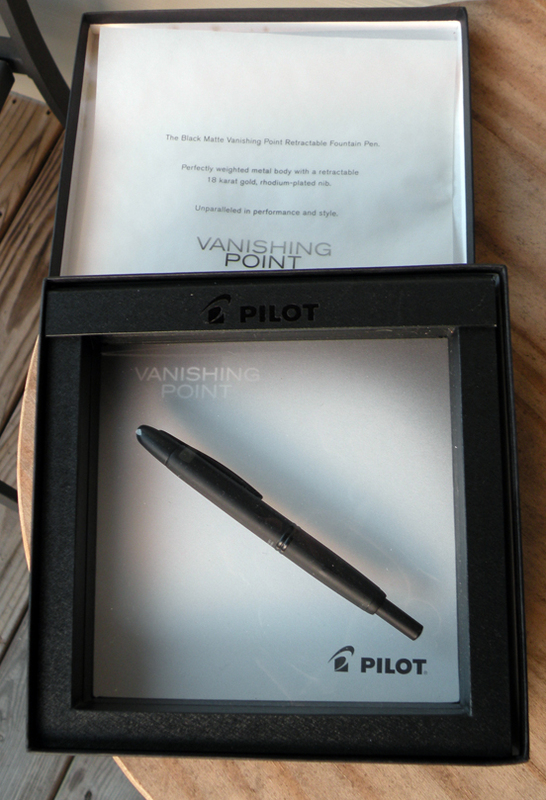 That look was why I bought it— I wanted a Vanishing Point to be my motorcycling pen. It looked good. It felt good; wonderful to hold, so smooth to the touch. 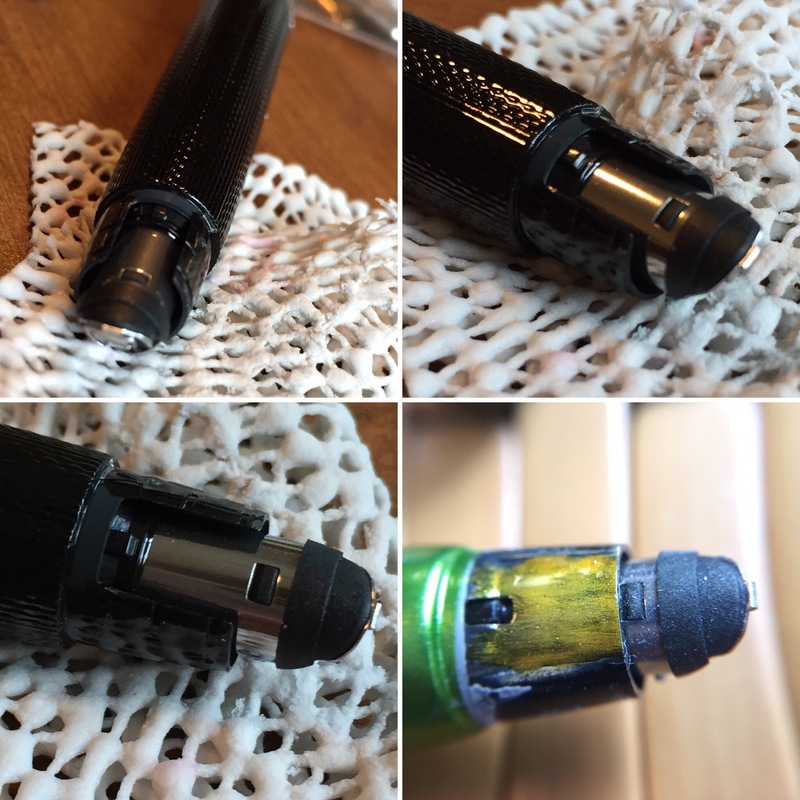 I kept the pen well protected in various pockets, but discovered after one trip that the finish was so delicate that it had worn away in several places down to the brassy metal of the barrel. It looked horrible. 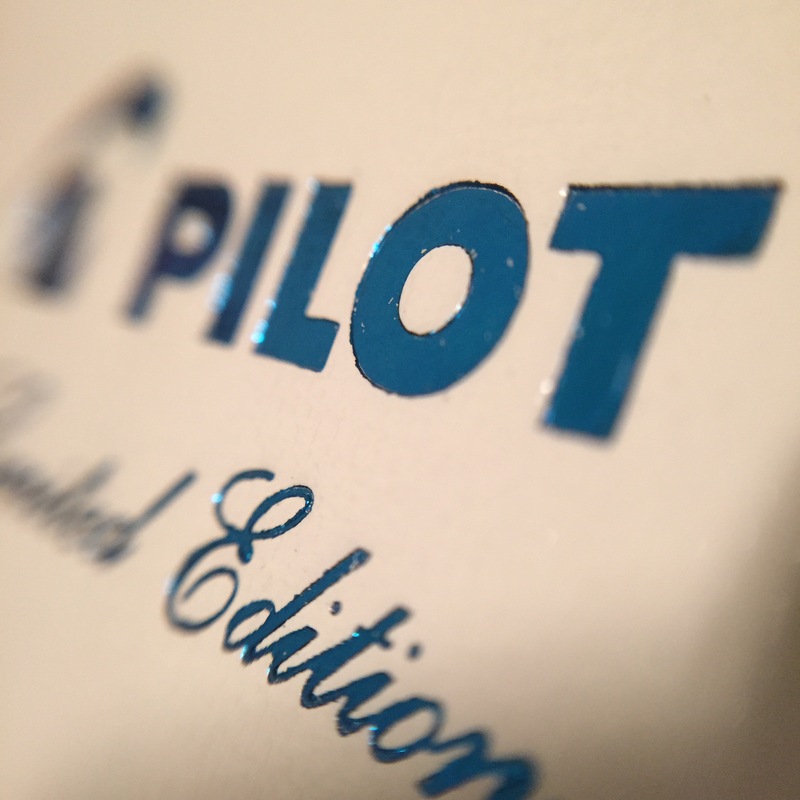 But the good news was that Pilot responded with great customer service—I took the pen in to my local pen shop, he mailed it off, and it returned to me looking brand new. 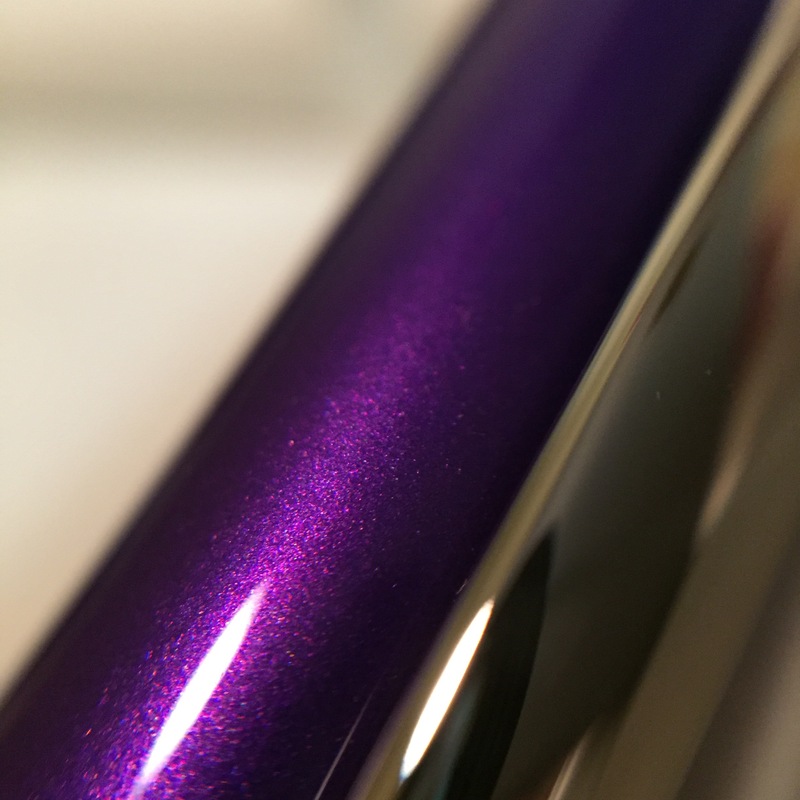 In spite of being fixed, nothing could change the fact that this matte finish is just too darned delicate. Despite taking extra care this time around, you can already see more wear on the body. It hasn’t gone completely through the finish yet, but it’s not looking good. Looks cool, but too high maintenance. Unless you’re a delicate person/don’t actually intend to use this pen, think twice before going for the matte black finish. I got mine from Office Supplies and More, but the matte black Vanishing Point is widely available online (the Goulet Pen Company, JetPens, and Goldspot all carry it, just to name a few). Since my first Pilot Vanishing Point, I’ve come around more on my opinion of this pen, which should be abundantly apparent when you consider that I now own four of them. 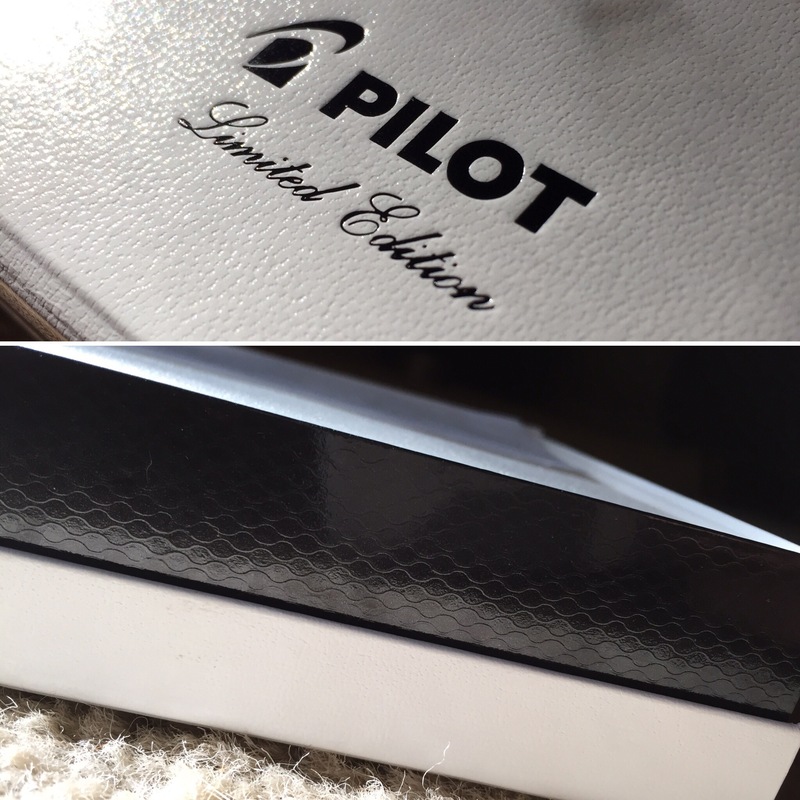 For this review, I’ll focus on my most recent addition, a white body Vanishing Point with black medium nib. The look has grown on my over time. The aesthetic is clean and modern, while still being high class. 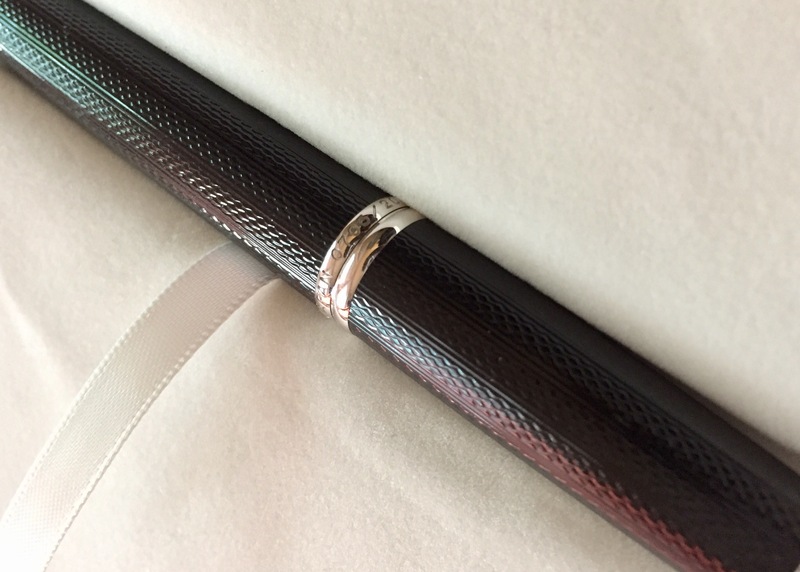 There is a white body available with matte black accents instead of the rhodium, but I can tell you that the matte black finish isn’t as durable. An everyday pen needs to be durable. 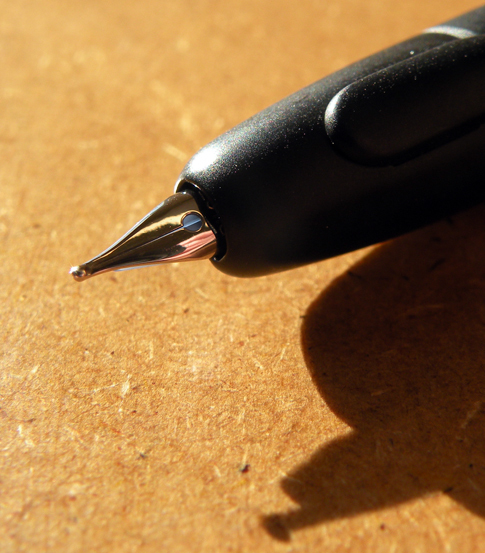 The black nib, though subtle, gives me that sporty white/black look without sacrificing the pen’s general usability. Black like the night. I am the night. I am Batman. I still don’t necessarily like having the clip on the writing end, but I understand why it has to be there. You get used to it. 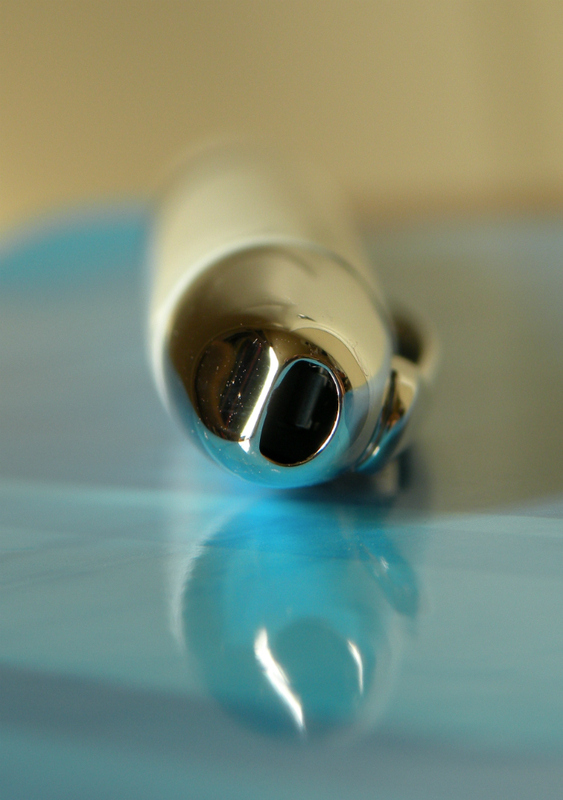 The payoff is having a retractable fountain pen, which is the greatest convenience a fountain pen can have. This is my #1 work pen of choice. I own broad, medium, and fine Vanishing Point nibs, and the medium is by far my favorite for everyday work use. 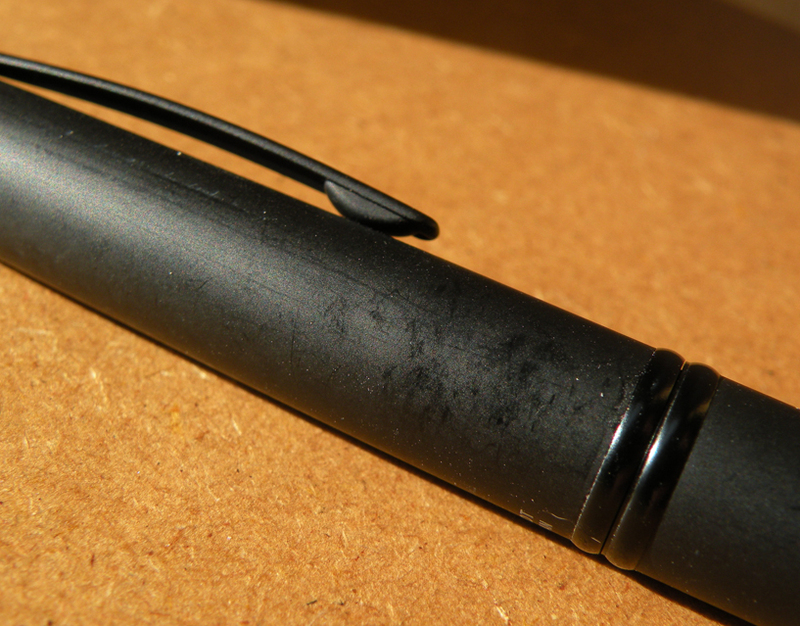 The nib is tactile on the page, smooth but not so smooth that it’s out of control. I had no finicky problems like I did with my broad nib (which has behaved well since I took it to Richard Binder)—the flow is good, and the ink doesn’t stop until the pen is totally out of ink. The Vanishing Point is attractive, reliable, and convenient. 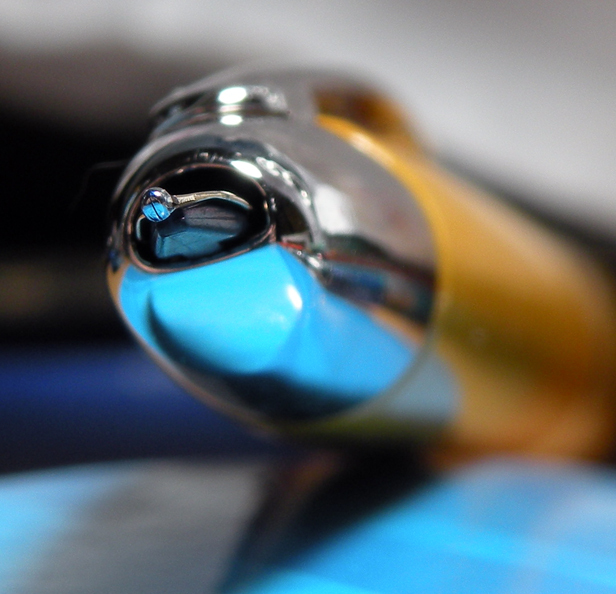 It’s a bit premium-priced, but with no competition in terms of other retractable fountain pens, it’s worth the price for such a high-quality pen. Looking around briefly, it looks like the best way to get this combo online is through the Goulet Pen Company. 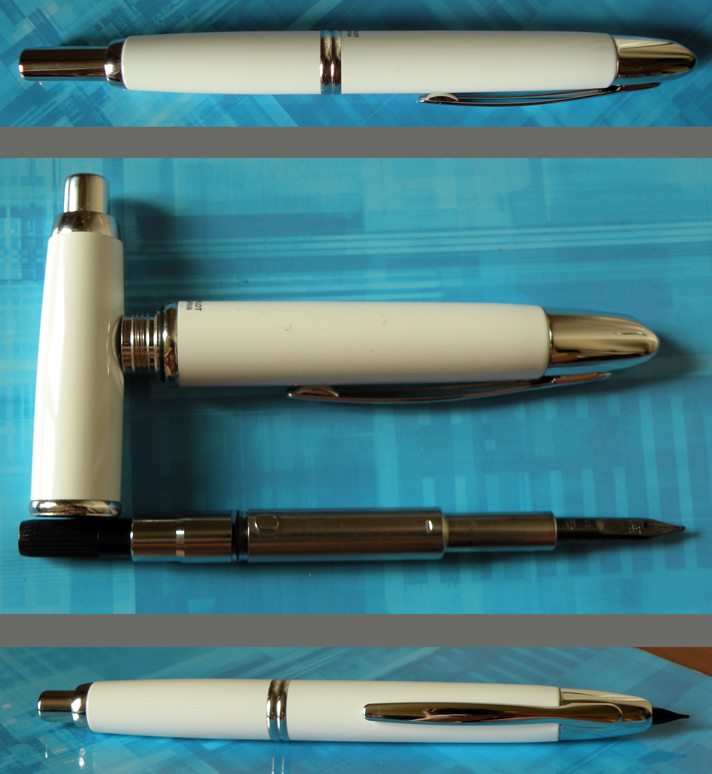 Here’s the white body, with your choice of size and color nib. 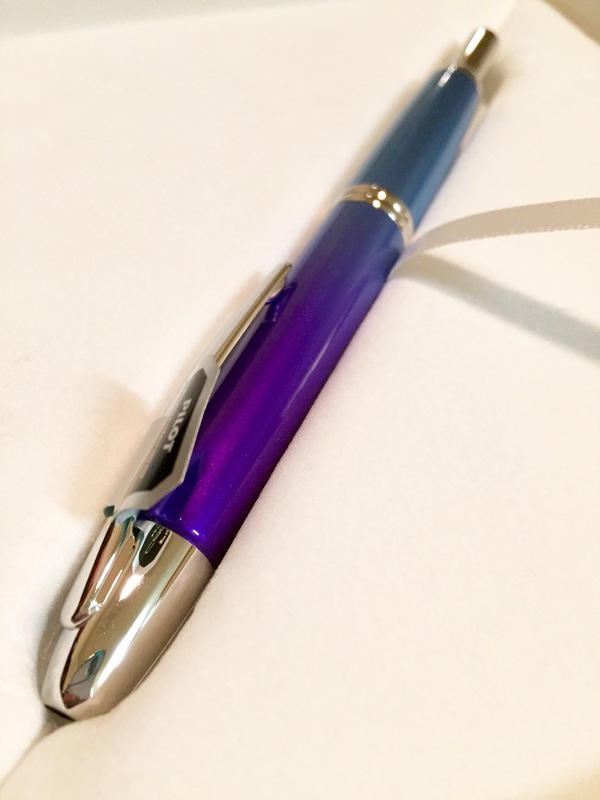 I got mine from Office Supplies and More, which sort of requires you to either show up in person (and probably call ahead and tell him what you want, etc.—he might have to order it) or catch him out at one of the pen shows. For some reason, my scanner and Photoshop colluded in a conspiracy to make this ink look much more bright blue than it looks in reality. I was powerless to stop their scheme. It ain’t easy being left-handed. 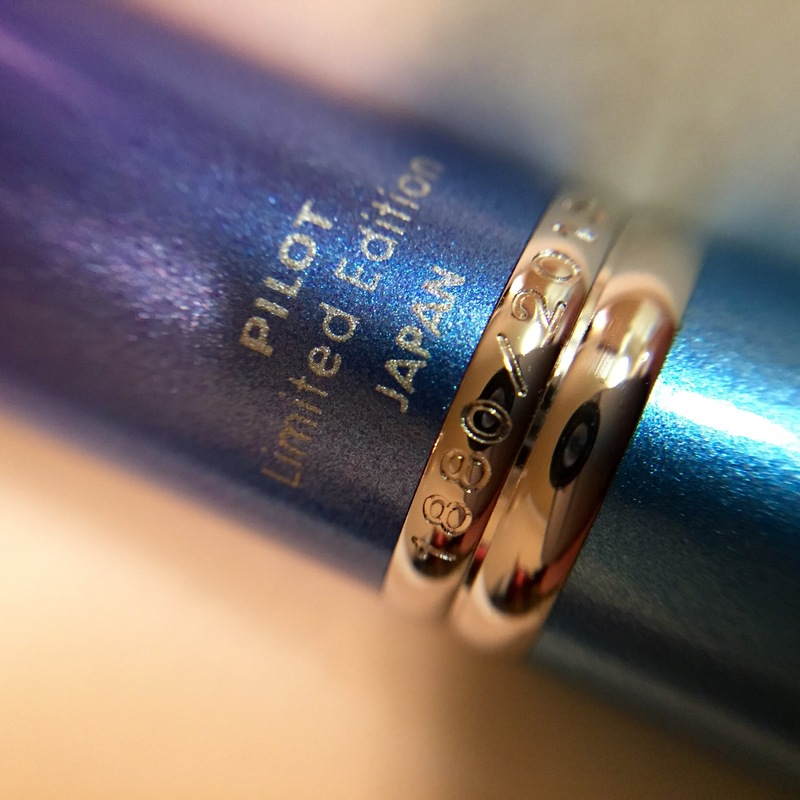 I resisted the Pilot Vanishing Point for quite some time. 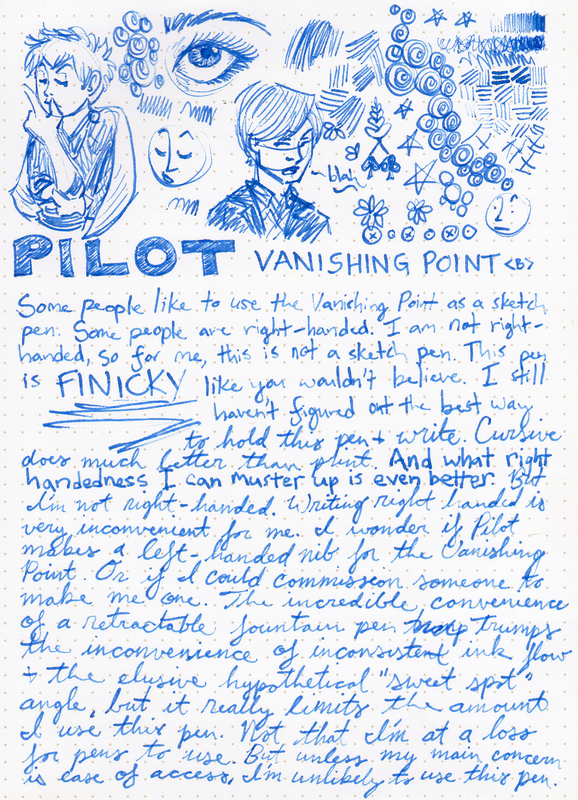 Every time I’d pop in the local pen store, I’d always scribble with the Vanishing Point kept on display, and every time I’d leave without one. Didn’t like the look. Didn’t like the clip. But here we are. I blame the particular shade of warm yellow, because as soon as I held it and saw it up close, I had to have it (once payday rolled around). Here’s a tip for whoever’s in charge of these things at Pilot: the fight would have been over months earlier if I’d been pitted against a turquoise Vanishing Point. Special edition color perhaps? Think about it. I don’t know what to say about the general aesthetic design of the pen. It gives me feelings; I just can’t quite understand what they are. It’s simple. I like simple. I like this pen, but at the same time there’s some nagging thing; I wish I could say more but something about this design doesn’t visually balance perfectly, and I can’t put my finger on what I’m even going on about. Let’s just focus on the yellow: this is a warm and wonderful yellow. Nice weight, though not as heavy as the Lamy Dialog 3 (that will, I promise, be a review for another day). Feels solid and well built. What’s the big deal about this pen? It’s retractable. 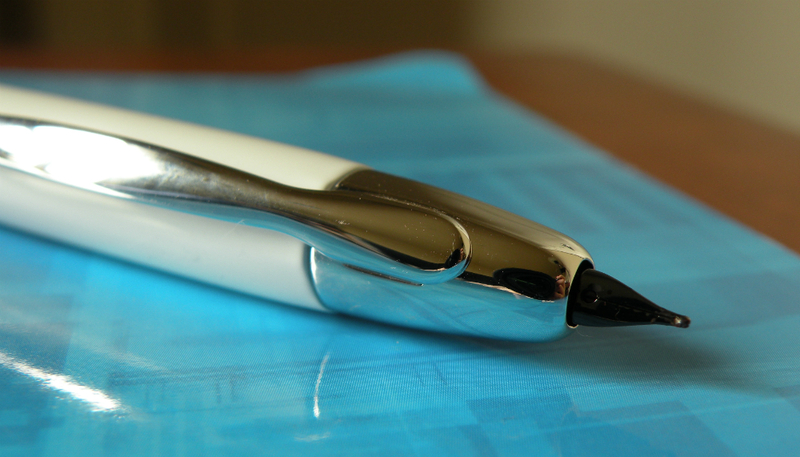 “So is this,” comes the inevitable reply from your average non-fountain-pen-person, as they whip out some cringeworthy retractable offering. 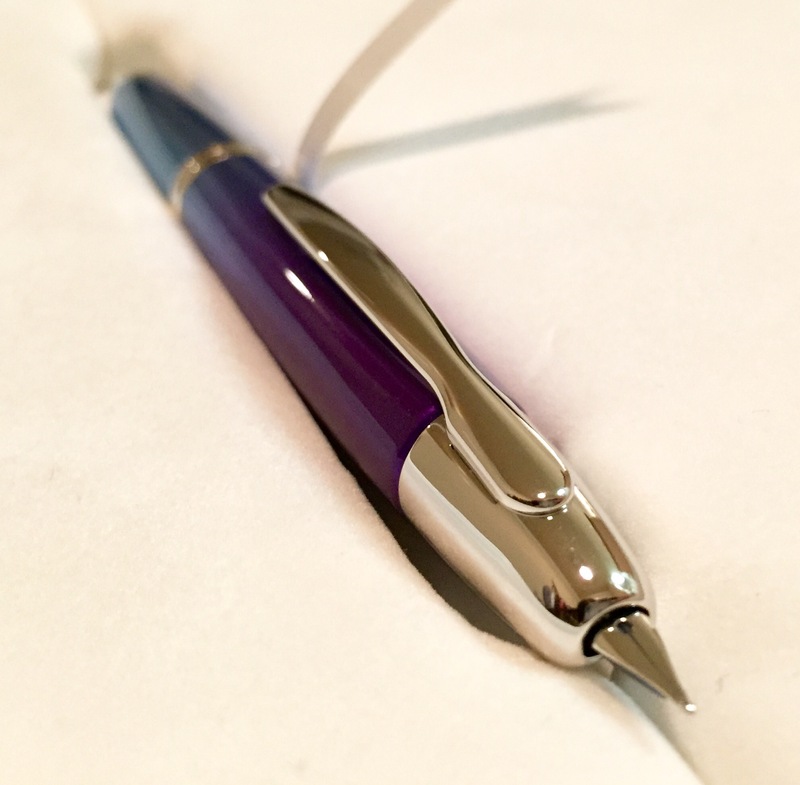 “YOU DON’T UNDERSTAND,” you are legally required to shout, as you knock their plastic abomination from their hands into the depths of a conveniently-located nearby furnace, “THIS IS A FOUNTAIN PEN AND IT IS RETRACTABLE.” It makes a big difference, being able to click (and it is a mighty click), write something, click, and throw the pen back down without having to worry about it drying out, while still being able to use a fountain pen. This means I can use a fountain pen at work, where emergency situations require that, if you’re jotting something down, you have to jot it down NOW and keep moving. You don’t have time to unscrew caps, to make sure they’ve been put back on properly and whatnot. “Why don’t you just NOT use a fountain pen in those kinds of situations?” you may wonder. Look, buster, if we followed that kind of thinking, we’d still be living in trees, eating termites off sticks, and covered in hair. If you’re right-handed, I’m pretty confident you’ll have no problems whatsoever with the writing of the Vanishing Point. You are free to skip ahead to the next picture. If you’re left-handed, like me, it would greatly behoove you to extensively test this pen out in a store before you buy it. I’ve been trying just about every writing angle and grip combination I can conceive of, but short of learning to write mirrored right-to-left across the page, à la Leonardo da Vinci, I am unable to figure out how to get an ideal and consistent performance out of this pen (as is abundantly obvious in the writing sample above). Of course, as I’m typing this up I’m also scribbling phrases with the pen, and it’s being unusually well behaved right now. I don’t know if there’s some kind of breaking-in phase that I’m having to endure here or what. I’ll have to return to this pen in a later update, perhaps in a few months, and see where things stand. Hoping it’s a phase, and that I won’t have to shell out extra buckos to get the nib ground. Clips and nibs do not belong on the same end of the pen together. They belong on opposite ends, the way Thoth intended. 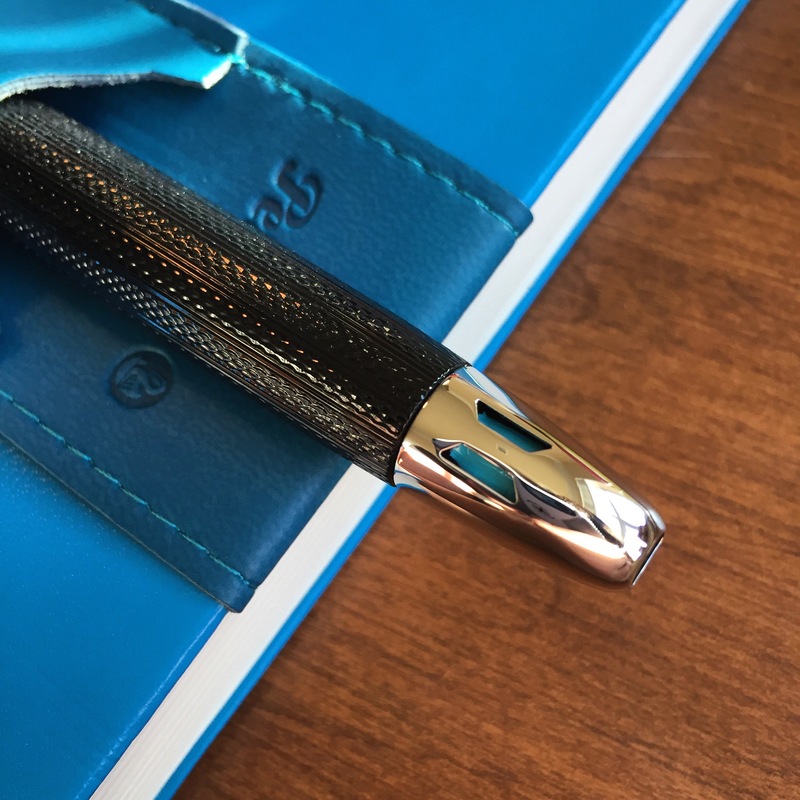 But then on pens like this and the Lamy Dialog 3, you’d have the nibs pointed down in pockets, just tempting fate to leak onto shirts and all over pockets. So onto the nib end it goes. The clip gets uncomfortably in the way of my natural grip. But my natural grip is wrong, HARRUMPH, and the clip is just ever-so-perfectly situated for the heavenly-ordained ideal tripod pliers grip. The nib really doesn’t seem to go along with the rest of the pen, but given that I didn’t buy this pen for the beauty pageant factor, I’ll let it slide. It does its job. 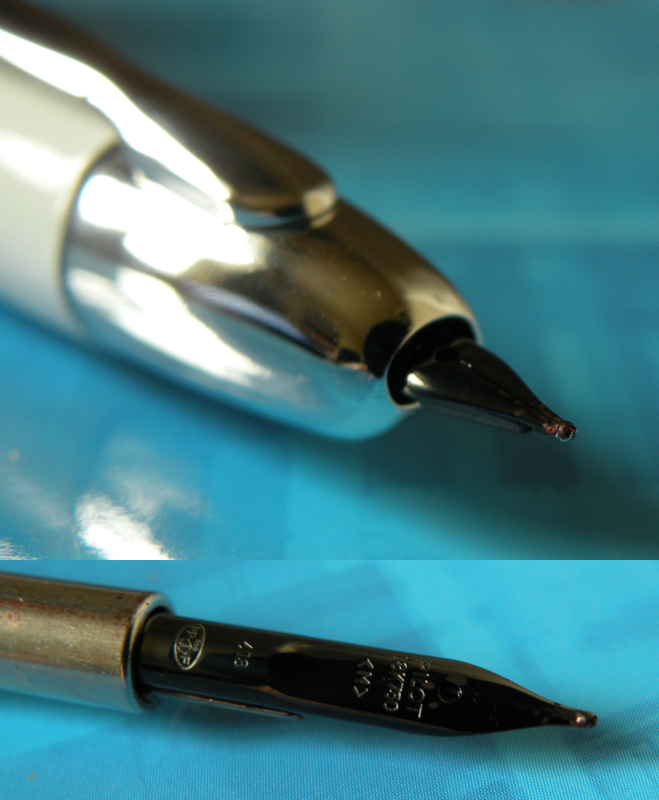 Once unscrewed, the nib unit slides right out. Very simple. 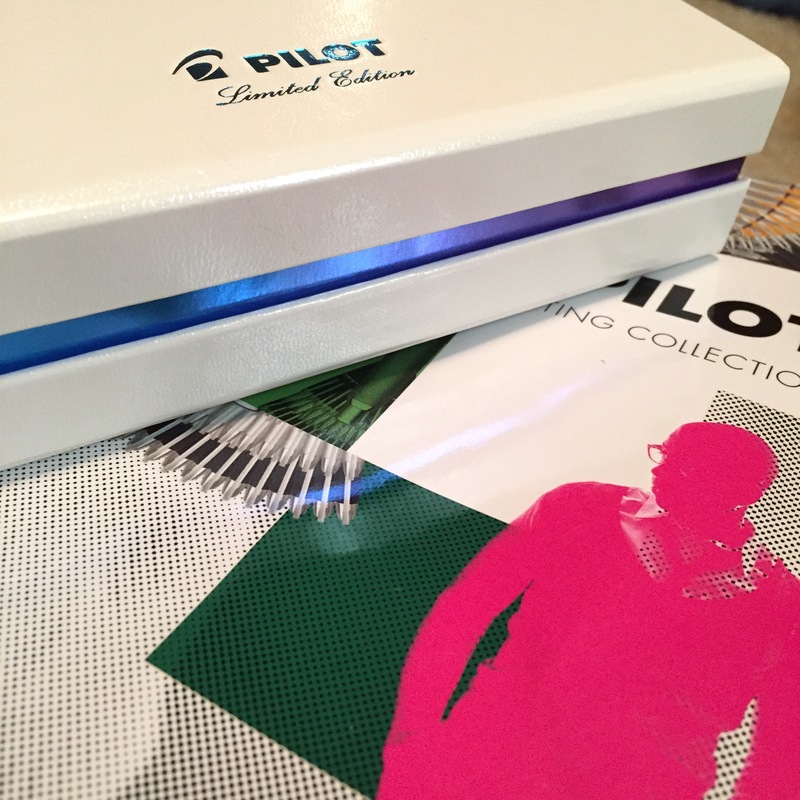 Takes Pilot cartridges (for which it has that silver cover pictured….for inexplicable design reasons….given that no one sees it) or converter (comes with both, in a fancy leatherette jewelry-like box). 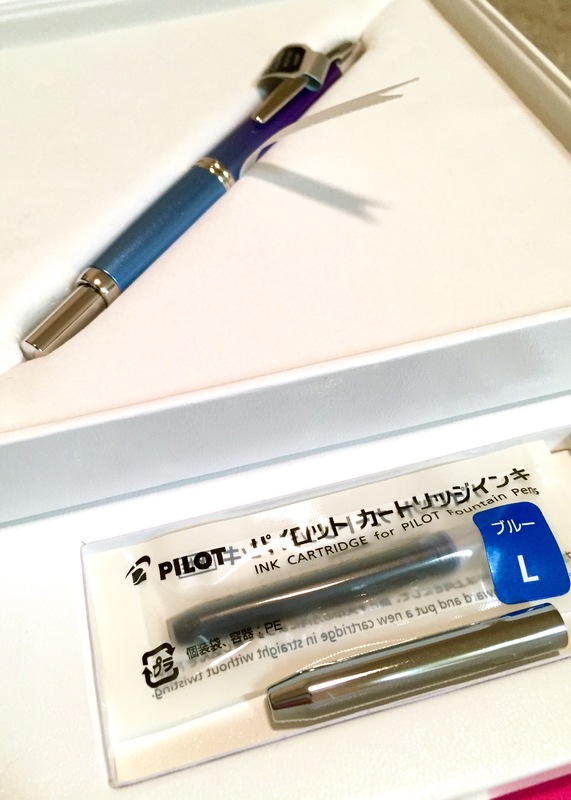 Given that I find Pilot cartridges to be some of the easiest to refill, and that it comes with a cartridge and a converter, I’m not too bothered by the brand-specific cartridge requirement. This isn’t exactly an entry level pen. We’re beyond cartridge wars at this point. It doesn’t take a standard international cartridge? I don’t care. 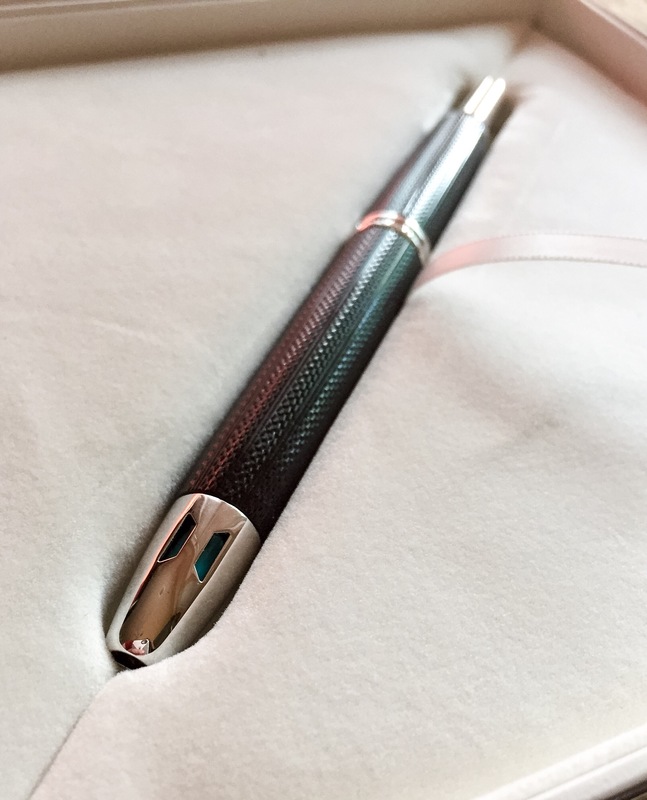 This review, and all you need to know about the Pilot Vanishing Point, can be summed up in four words: WORKING RETRACTABLE FOUNTAIN PEN. That’s it. Everything else is minor details and quibbles. 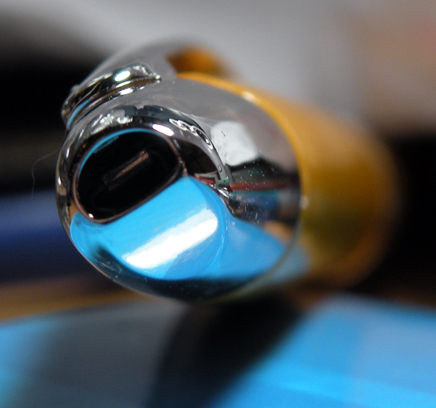 It’s not perfect, but it remains the only click retractable fountain pen. I’m not going to sit down and draft out a copy of the Constitution with it, but for quick-jot notes, it’s by and far the best.